Easter is one of my favourite festive day even though it is not widely celebrated in Singapore. The abundance of cutely shaped choclates with bunnies and chicks are too cute to resist! Each year, I can also look forward to Lush cosmetics for churning out designs for their soaps in various shapes, sizes and colours! 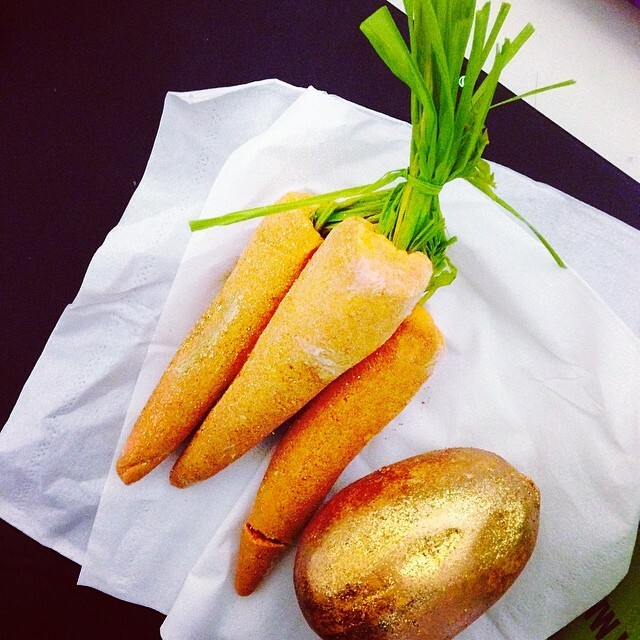 Bunch of Carrots for fruity, uplifting bubbles and plenty of baths! Swish a carrot around your bath to enjoy soft clouds of bubbles and tropically scented water. Although these reusable bubble bars may do a convincing carrot impression, their fragrance definitely gives them away: buchu, lemon and bergamot oils create a tropical, fruity and refreshing bath. A glistening golden bath melt AND bath bomb rolled into one, that smells like Honey I Washed the Kids! Need we say more? Because of its luxurious bath melt outer layer, when you first drop this into the bath it will sink down, then bob back to the top as its bath bomb centre begins to fizz away, filling your bath water with its sumptuous honey-toffee fragrance. Its glitzy exterior is created with environmentally friendly (plastic free) lustre, and will create a gorgeous, shimmering golden pool.